Yes, ma'm! 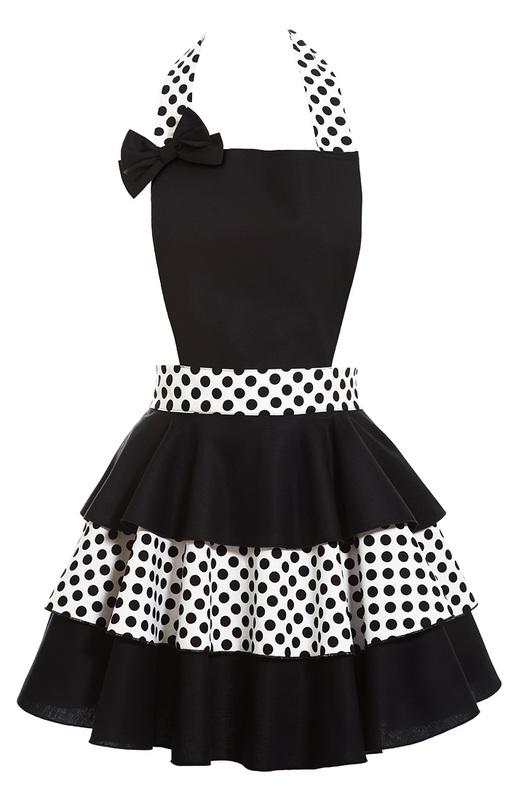 For the holidays and all special parties you host, this is the apron to go for! 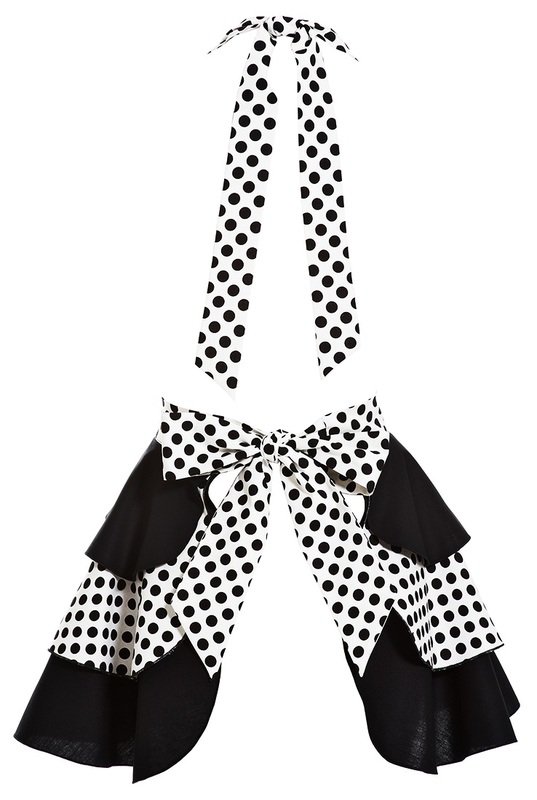 Three layers of frills with a metallic golden bow ties make this apron just elegant and dramatic! Matching garter and dish gloves are available and sold separately. 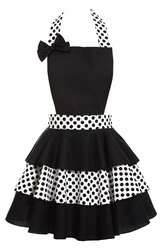 Wear this set and be the star of your own kitchen and any party!